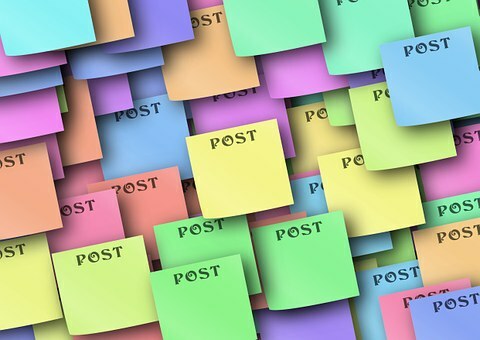 Determining what to post will, of course, vary depending on your type of business. Whether your business is service oriented, product centric or a combination, posting to your business pages on social media will still follow some basic points to be engaging. Your social media business pages will generate sells, but it is not where you should only try to sell. You can advertise on social media, but your business page is not to be used to only advertise, as your followers will stop following you if this is all that you give them. What I mean by this is that using your social media business page is a brand building exercise to show your uniqueness, expertise, experience and “why me” instead of my competitor. When someone wants to purchase a product or service, they can search for what they need at the time they need it. By building your brand, you are planting in their mind that you are the one they are looking for when that want or need comes up. Your followers are there because they know you, have purchased from you or enjoy what you have to say. Remember to be customer centric with your posts on your social media. It is not a captive audience that you are speaking to. It is very easy for your audience to ignore your posts, so your posts must grab your audience’s attention. So, now that I scared you about ‘what NOT to post’, let me now show you that it does not have to be scary to find what to post. Finding content to post is not too difficult as there is a lot of content already out there that relates to your products, services and target audience. RSS feeds and Hashtag (#) searches can help you to find relevant and interesting content to share. However, do not fall into the trap of posting only content from other sources. While it can be valuable, it should not be the only content you provide. Make sure that your posts include some personality of your business, as this will highlight why you are different and worth following. Ok, so what should I post on my social media? If you do share content from another source, then tell your audience why you are sharing it or why you found it of interest. Use visuals: Pictures and videos. It is a fact that a strong visual will grab attention of someone scrolling his or her feed. Use a variety of content: Informative, Promotional, Inspirational and Humorous (mix it up so that the audience does not know what is coming). Be brief and to the point. If you have a lot to say, then say it somewhere else, like a blog, and then link to that content. Limit the use of abbreviations and aim for concise ideas. Use Hashtags, but use them when they add value. There is nothing more irritating to a reader than to see 12 Hashtags with no content. Ask probing questions to get your audience engaged with the post. Be customer centric. Ask “What’s in it for me” from the perspective of the audience. You need to post what they want to read, not always what you want to them to read. 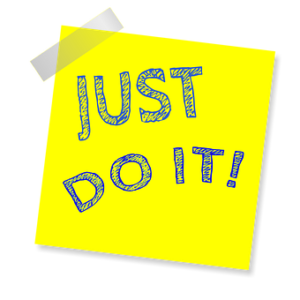 Most important of all is to “Just Do IT.” The longer you wait to get started, the more time you give your competition to take the branding lead. Always monitor your business pages for two reasons. First and foremost is to respond to your audience if they comment. They want to know that you’re listening. Second, is to see what works best. Learn which posts have the most engagement; likes, shares, and comments and then you will have a better idea of you’re your audience wants from you. Comments and shares are more valuable than likes. Remember, if you are sending posts on multiple social media channels, the audiences may react different to any given posts. For example, what works great on Facebook may not work the same on LinkedIn. Listen to your audience and they will guide you to more engaging posts. Can I measure ROI (Return On Investment) for Social Media?